Recently I was asked to contribute answers to some questions about writing for another blog. Not much very unusual about that. What was unusual was that the request was that these answers be hand-written. I have one friend who lives interstate and we do have a hand-written correspondence, in addition to our email and sometimes text ones. We also use the phone. But that’s about the only occasion that I write more than short paragraphs by hand. I do freewrite sometimes but there’s no audience for that except me, and given the grammar and spelling of those exercises it’s probably just as well. Practice makes perfect, so it’s said. And it’s true that practice made my handwriting more legible. But lack of practice and the lack of an audience and therefore the need to be understood by anyone but me have meant my handwriting is somewhat less than it was. But it was a lovely organic thing to do. I didn’t write a rough copy and then copy it nicely. There’s something delightful about the flow of words produced both literally and because I was using my favourite fountain pen. 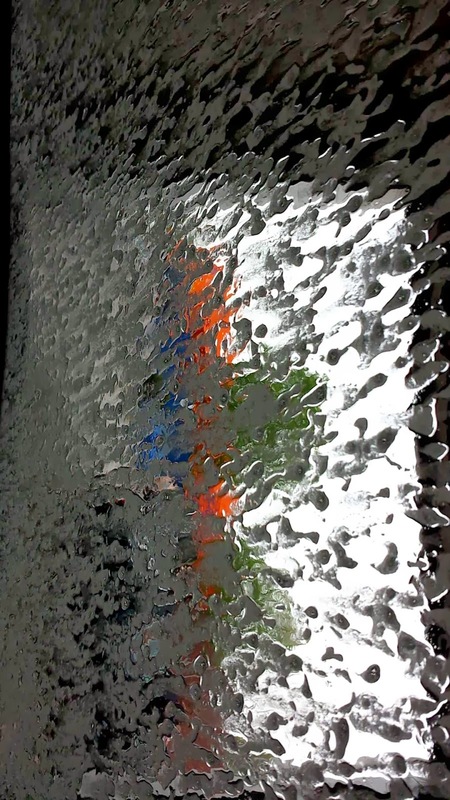 … that I am mastering my fear of the carwash with its moving machines that challenge my sense of place and with its slappy slappy wash bits. 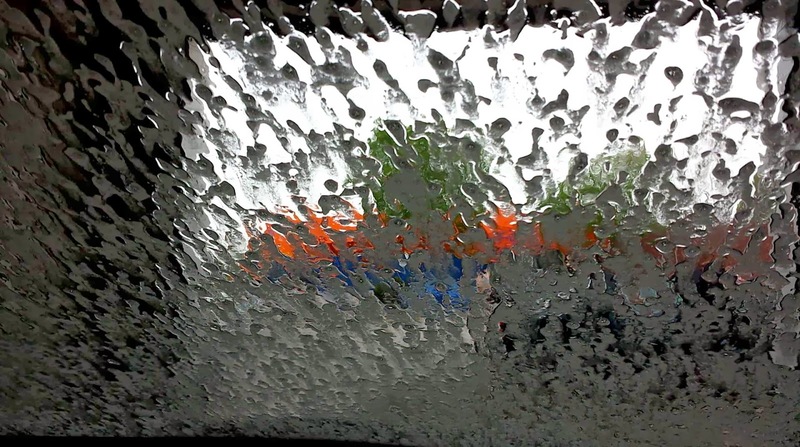 This pic was taken from inside my car where I was sitting alone. This is the second time I have gone through alone. I had to do it a second time to prove to myself that the first time wasn’t the last. Last night with two fellow authors I attended the Melbourne Clayton’s Night where five speakers talk about their predictions for the upcoming CBCA Awards. It’s always interesting to hear others talk passionately about books in general and specifically. The speakers last night were Anna Burkey from the State Library, Emma Baker also from the State Library, Sarah Mayor Cox from La Trobe Uni in Bendigo. 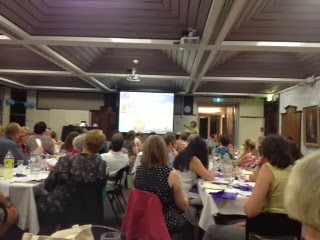 A couple of other scheduled speakers were unable to be there but their presentations were ‘channeled’ by CBCA members. We were introduced to a closer look at many books that I’ve seen and/or read over the past 12 months, and some I’ll be searching out. Most presenters were unable to stick to the six titles they were supposed to present. I think all snuck extras in, not that anyone in the room was complaining. The dinners at the Clayton’s night are always fabulous and this one was no exception. Moroccan-themed and delicious. I’ve been tagged! This is part of an ‘Author Process’ blog tour where authors answer four questions. I was tagged by Chris Bell who was tagged by … visit Chris at the address below to see who’s been tagged and what they have to share about their writing process. It’s fascinating reading. Alright, I’ll confess – I clean forgot about the tagging, it should have been posted yesterday. I could blame our Victorian Labour Day holiday, but I’d just be prevaricating. And so to the business at hand. 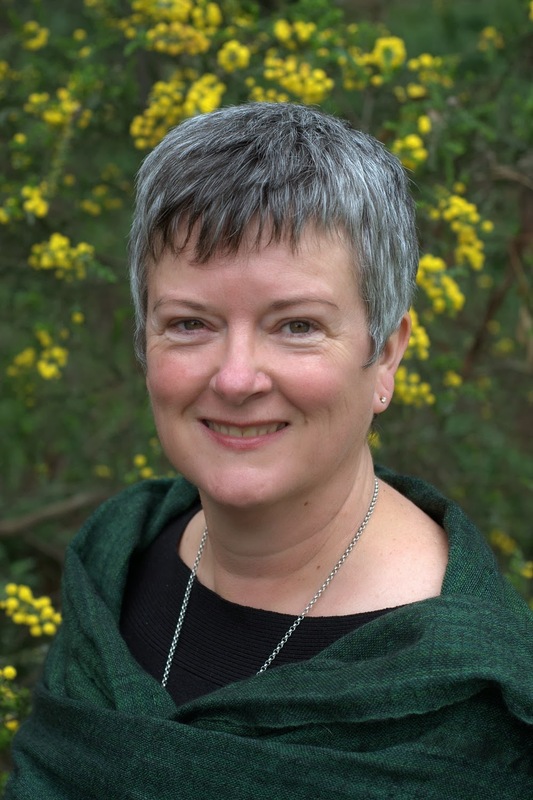 Friend and fellow writer Chris Bell is a historical writer and she loves research – so much so that occasionally she forgets she’s supposed to be writing, as she journeys back to life a century or two ago. 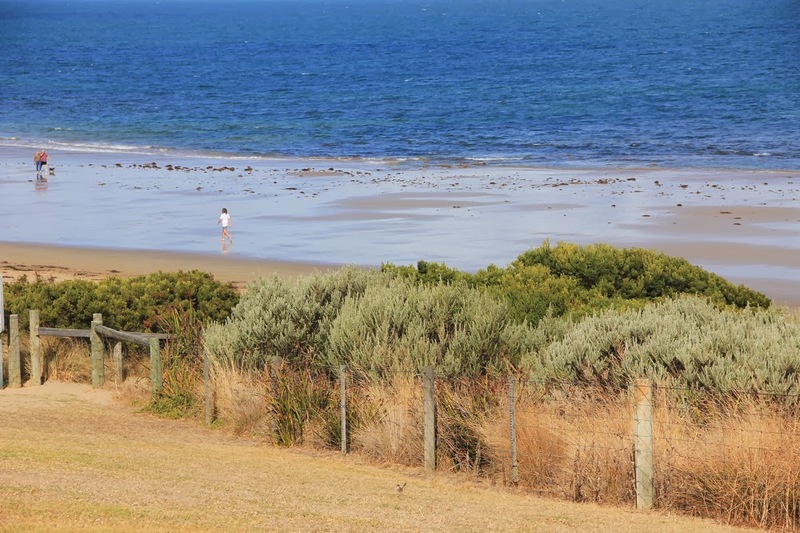 She’s currently working on a YA historical novel set in convict Tasmania. Chris has written over thirty published books for children, including picture story, chapter and YA. Her contemporary YA novel, Jumping Through Hoops, won the CYA Published Author Prize 2011 and was longlisted in the international 2012 Mslexia Writing for Children Competition. 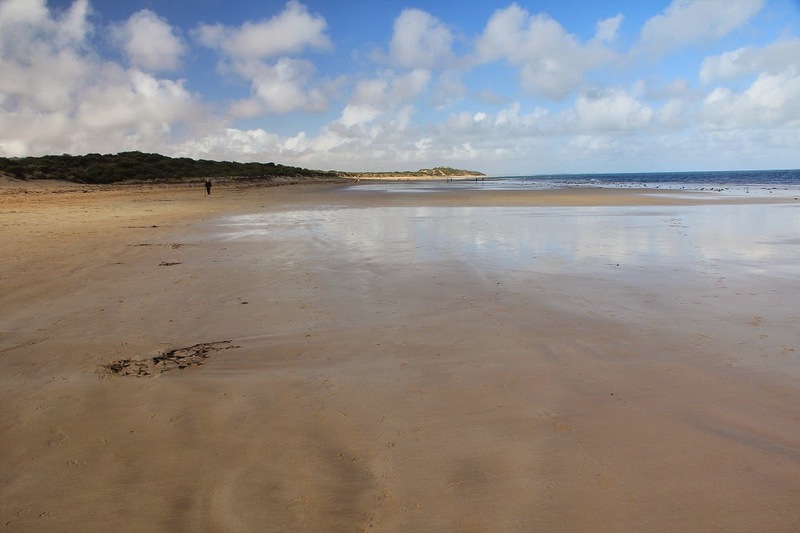 Next month, Chris is heading to Katoomba to take up a Varuna Retreat Fellowship to work on her YA novel. Sounds like heaven on a stick really. I hope it is as enjoyable and productive as it sounds. You can read more about Chris as she takes you from Hook to Book at christinemareebell.wordpress.com – including her post last Monday, where she talked about her writing process. I’ve just seen the print proofs for ‘Emu’, a picture book illustrated by the very talented Graham Byrne. Can you hear the printers clunking? That’s the sound of Emu pages being coloured. Walker Books will release ‘Emu’ in August this year. But that doesn’t answer the question, does it? Welcome to where I’m at. When I’ve just ‘put something to bed’, I have a period of procrastination where I struggle to settle to what’s next. That’s not to say I don’t have any ideas – I have ZILLIONS – but the struggle is to decide which one to tackle next. I was very productive yesterday: I made bread, I stitched the edge of my new quilt, I washed the sheets. For goodness sake, I cleaned the toilets! And then in an e-conversation, a friend offered me some seat-glue advice. And last night I produced the first words of what I hope will be a novel for upper primary. The glue worked again this morning and there are more words. Can work with words, even if they’re horrid. Can’t work with the empty page. It’s too soon to really say what it’s about, but I’m feeling good that I’ve begun. Ooh, that’s a tough one. I write different things at different times. I like to think I do silly or absurd reasonably well. 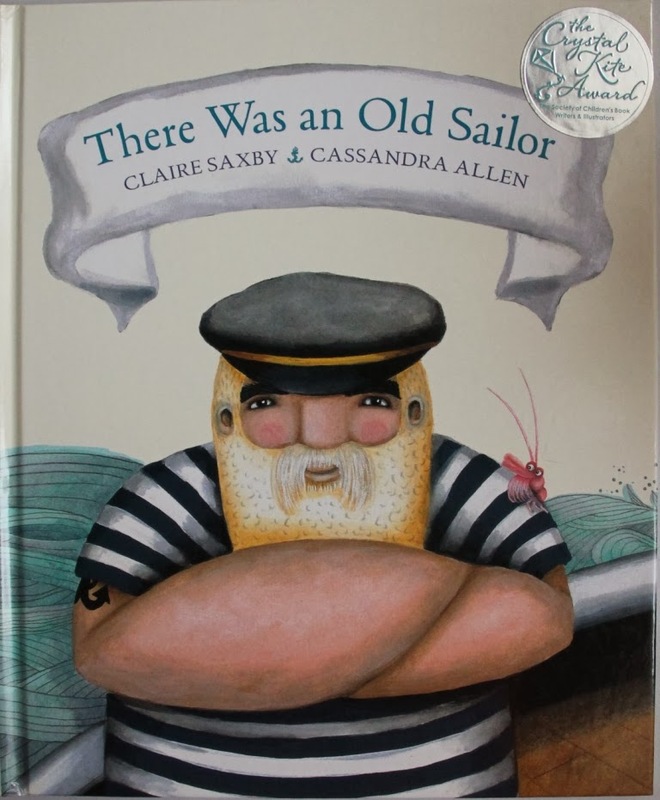 ‘There Was an Old Sailor’ is sheer silliness and nonsense and I think we need more nonsense in the world, and not just for our children. I think it is essential to abandon seriousness sometimes and to be able to laugh. Often. 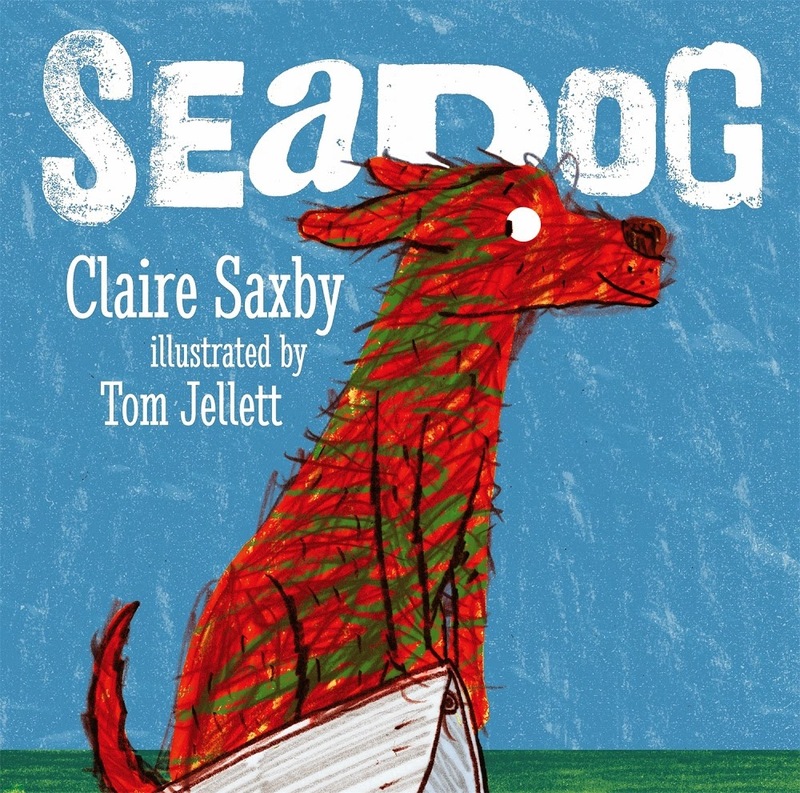 ‘Seadog’ also explores the idea of play for play’s sake. I like the language and the rhythm I’ve got in both these books. Perhaps that’s my thing – poetry. 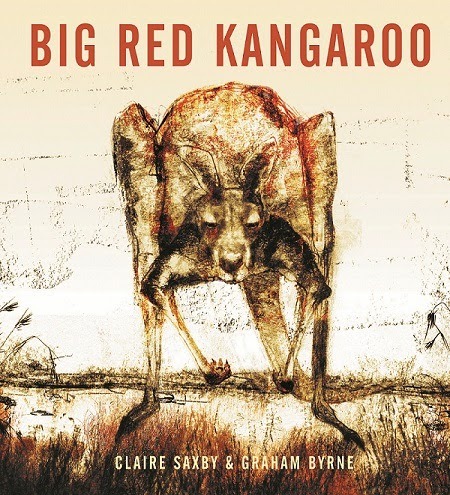 ‘Big Red Kangaroo’ and the upcoming ‘Emu’ both use poetry too, although in a different way. I love the cadences of language and that’s what I enjoy spending time on – trying to make the language sing. Because most of my books so far are picture books, I think I’m able to distil information to its essence. In my most recent book, ‘Meet the Anzacs’ I read so much about the outbreak of WWI and I had so little room to include it, I had to push a lot into the few words I could fit. I write to understand. I write to have fun. I write to learn. Although I was born in Melbourne and live here now, I travelled around the place quite a bit in between. I love to share the things I’ve seen, and perhaps the way I’ve seen them. 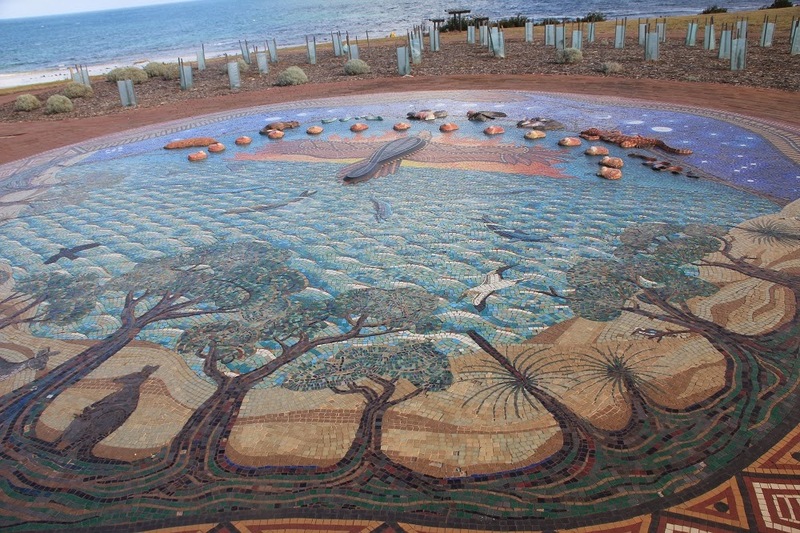 The ocean/sea/beach is a recurring theme in my work, but so is Australia’s rural and inland landscape. I love to play with words and want to share the joy that is language, the beauty and the power of using words to share lives, share experiences. Sometimes it takes a long time to get it right. eg ‘Seadog’ had so many previous unsuccessful versions that I’ve had to add extra files in my filing cabinet – and that’s a story which has around 150 words! But when you get it right – it feels good. It depends a bit on the project. My current project is based on an historical event so there’s been a lot of reading. A lot. I have note books with pictures, lists, figures, facts, diary entries, lists of source books and links to websites. To begin the writing I reread all of those collected notes so they are fresh in the back of my head. Then I leave the notebook open beside me as I write, sometimes checking as I go, sometimes writing in the draft little italicised notes like check this and find out the population of the town. ‘Meet the Anzacs’ involved huge amounts of reading, from many sources, particularly as my interest for this book was the period from the declaration of war to the landing at Gallipoli – yes most books touch on it, but not in the detail I needed so it was a bit like a treasure hunt – following clue to clue and back again. If I’m working on a picture book for younger readers, I’ll try to capture a 0 draft in a single go. A 0 draft isn’t even good enough to be called a first draft, and somehow labelling it so removes the pressure that can come with a first draft. Sometimes it will be immediately evident that this idea is not big enough for a story, or at least not in this form. Then I walk away for a while. But sometimes when the 0 draft is done, I’ll feel that the ‘shape’ is right even if almost everything else is wrong. But if I have those bones, then I can apply individual elements in honing the pacing, language, and all the other little bits that make up the whole. Then when I think it’s looking okay, I’ll put it away for a while (how long varies from an hour to months). Then I’ll read it out loud. To myself and sometimes to an alpha reader. I’ll hear things as I read them and my alpha readers will give feedback. Then it’s back to the redrafting. A typical picture book, even when the 0 draft comes reasonably quickly can undergo 20 or more redrafts before it’s ready to submit. Thanks Chris for tagging me! If anyone else would like to be tagged, let me know and I’ll post your info and and blog address here. 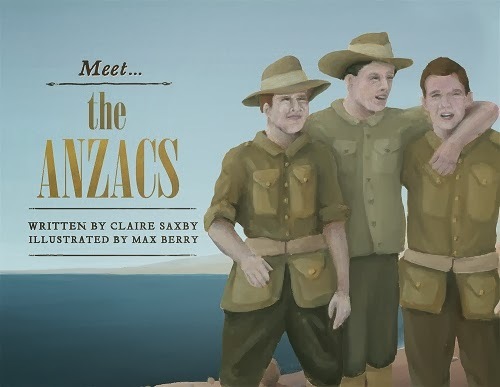 Today, I’m a guest on fellow-author and friend, Dee White’s blog about writing tips, for my five tips on writing picture books in general, and ‘Meet the Anzacs’ in particular.